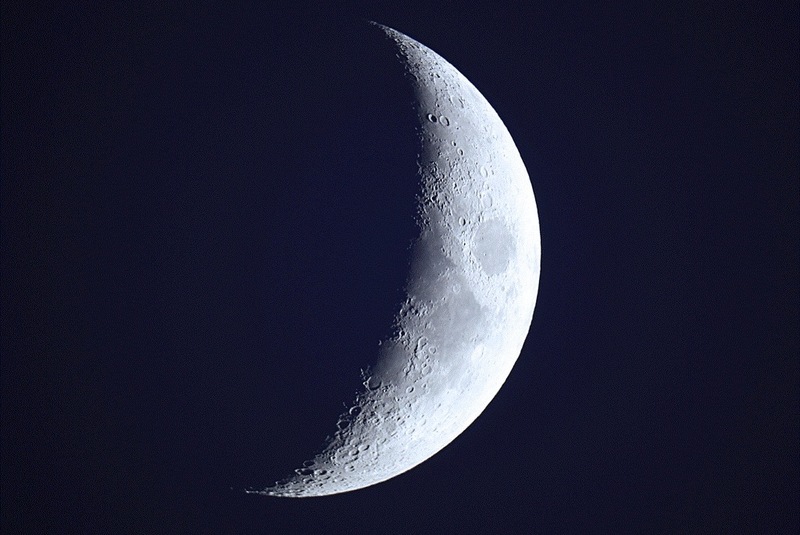 Blue Crescent - Here, the crescent moon was photographed right after sunset, giving the sky-background of the photo a dark blue color. So why is the sky blue? This age-old question can be answered by the fact that gases in our atmosphere scatter all of the Sun's light except for the blue component of that light. As a result, all the other colors don't make it down for us to see, except blue. Thus, the atmosphere is like a filter which blocks everything but blue.